Last time I suggested that I should write a blog post about funnel analysis in Google Analytics, because all my conversion funnel analysis blog posts had been successful. So this week I am writing a blog post about conversion funnel analysis. It’s almost like this blog has a plan week on week, isn’t it? It doesn’t, I can assure you that next time I’ll be sitting with the computer in front of me wondering what on earth I should be writing about again, but there you go! In case you’ve never come across this blog before, one of my early blog posts was on conversion funnel analysis: When, How, What, where I discussed what conversion funnel analysis is and what you should do with the data. I then followed it up with a post about how you do conversion funnel analysis in SiteCatalyst, which not only showed you how to do it in SiteCatalyst using fallout reports and so on, but it also expanded a bit on the principles to show that it wasn’t as simple as it may seem. 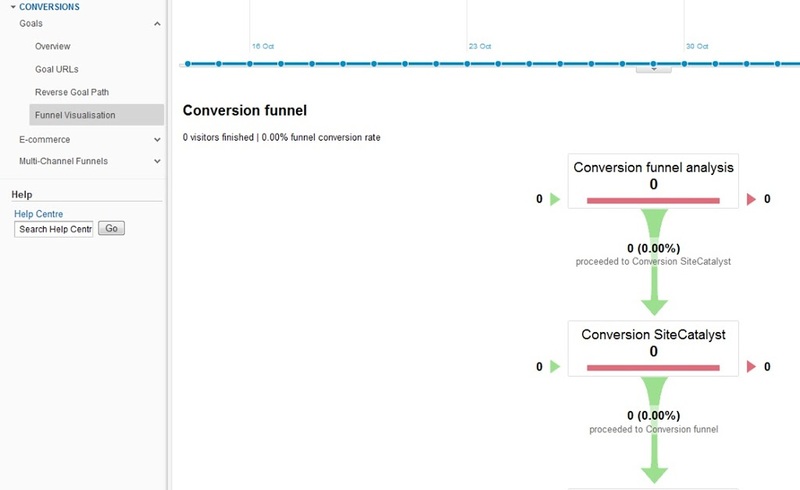 If you are interested, I also wrote a blog post on the sister website to this one, Digital Transparency, on how conversion rate analysis is about targeting as well as testing, which touches briefly on funnel analysis. This process means that you need to set up your goals and funnels in advance and you need to think about the funnels that you are going to want. There is no retrospective data processing involved in this. Note that you will be asked whether you want the first step in the funnel to be compulsory. If you check this box it effectively means that the goal will not convert unless the user has gone through this step before converting. It’s a bit of an oddity, because whilst the users have to go through step one to get to the goal, they don’t have to go through step two or step three. This is a vital bit of information because it relates to not just your conversion funnel but all your goal reports as well. As we’ll see in the next section it isn’t vital that you do it for your conversion funnel. Getting on to the more exciting part, you really want to know what the reports look like. Well you can access them in the left hand menu in the Conversions tab. So these reports don’t really visually represent the way things move through in the way that SiteCatalyst’s fallout report does, but it does give you some interesting information. 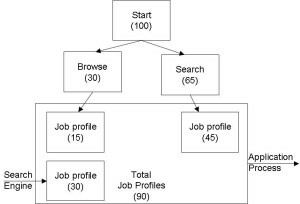 Because I didn’t select that my steps were required in the report we have the options of seeing how many visits enter into the process halfway through as well as how many drop out halfway through. This relates back to our option for having the first step as compulsory. If you selected it then your process will be limited to just those who also went through the first as well. The second step in this case will only include those that went through the first step. An oddity of how the funnels works means that your second step could quite possibly be lower than your total for the goal (if the users bypass it). This is an interesting concept that I expanded upon on in my last post on Conversion funnels. Not all those visits that get to the goal will have come through your funnel route. This is especially true where there are large volumes of content that your users could arrive at halfway through. But this process is very useful when you have a payment process (shopping cart, credit card details, delivery address, confirmation, etc) to be able to look at how people drop out of your process. This can help inform you where in your process people are dropping out and you can look at improving this and monitoring it over time. This is the vital part of the process – you need to change something and monitor how it changes over time. What Should You Do With The Reports? Well normally I’d sit here and tell you to segment, segment and segment some more, but in this case we can’t do that because there isn’t an option to put your advance segments on here. What we can do though is put in some custom filters to create alternative reports. It’s a bit of a fix for something that should be done automatically in Google Analytics. So if you create a new profile in Google Analytics for the top segments that you are going to be interested in using the profile builder. Don’t forget to make sure that you have a standard filter that doesn’t exclude any of your data, otherwise something may go wrong and you won’t have the raw data in the background. 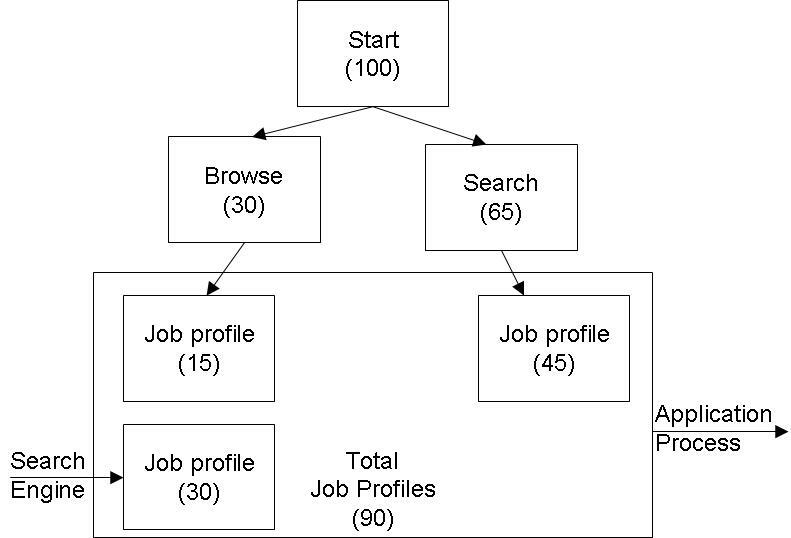 Using a profile of your data is important when looking at funnels. Each of your segments is likely to react in a different way when going through funnel and one of your jobs is to try and work out a way of getting each of your segments to get through the process as best as possible. This may mean that you need to have more than one process for each of your segments, but this is all about targeting as well as testing. Creating a visualisation like the above will allow you to work out if there are steps in the process that you are ignoring. Are people moving in and out of the process all over the place or is it really a traditional funnel? Does one of your sources into your goal provide more of the traffic than others. Should you be focussing on a different journey for your users or the one that you’ve set your funnel up for? 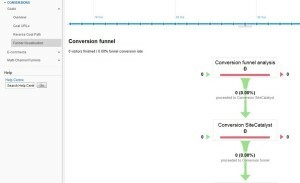 Don’t forget that you can set up several funnels for the same conversion point (if you have enough spare goals). Don’t be afraid of setting up more than one that are very similar. You’ll get lots more data that will give you a better clue as to what you should do to improve the process. Hello Alec. A really useful article. Would you be able to do an update for the latest version of GA? TIA!